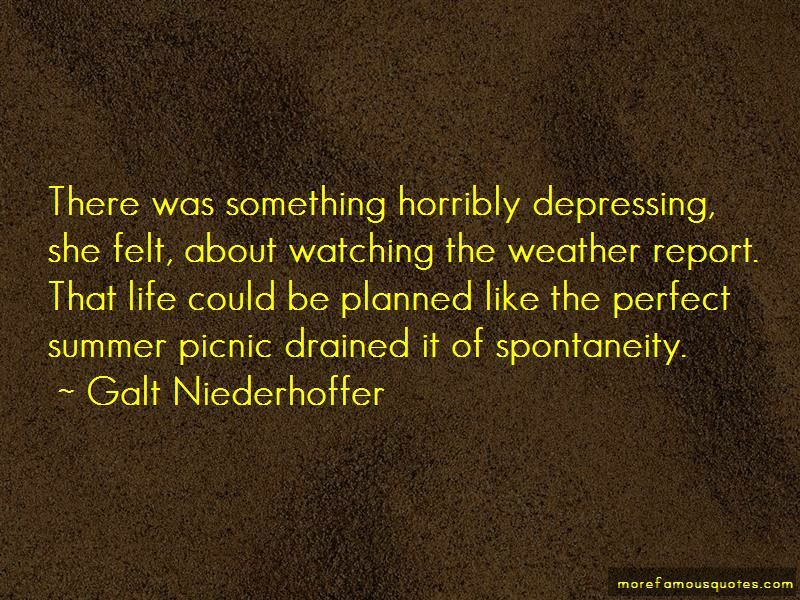 Enjoy reading and share 7 famous quotes about Summer Picnic with everyone. sticky toffee, chocolate fudge cake, ice-cream sundae, something really bad for you. Get drunk too if you like (but don't scare Cal). Spend all the money. And after that, when days have gone by, keep an eye out for me. I might write on the steam in the mirror when you're having a bath, or play with the leaves on the apple tree when you're out in the garden. I might slip into a dream. 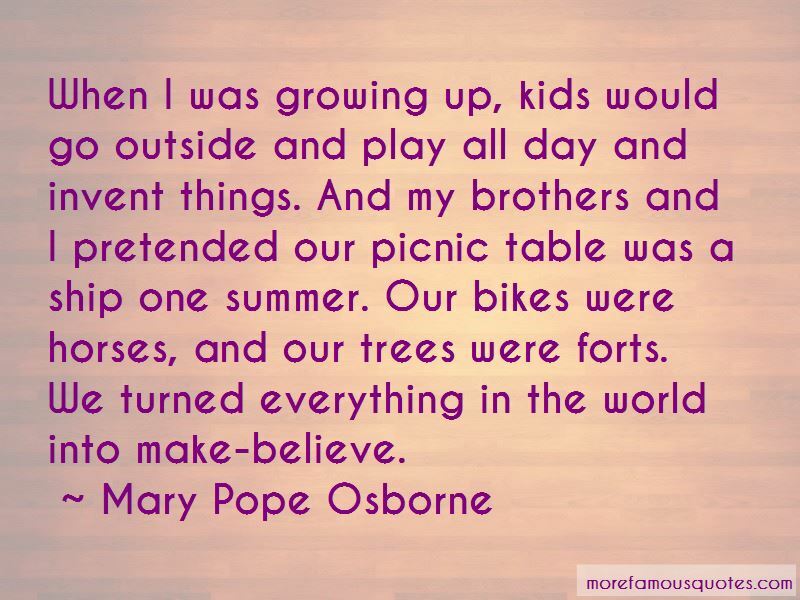 Want to see more pictures of Summer Picnic quotes? 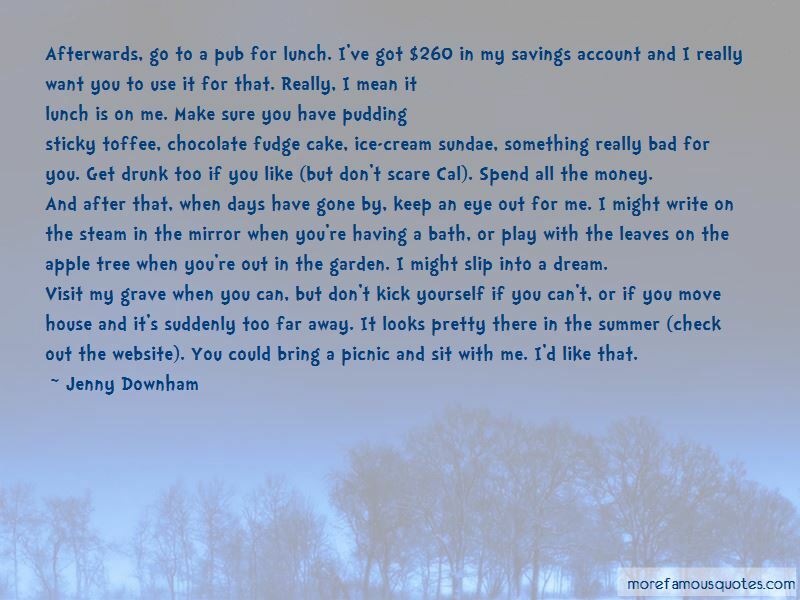 Click on image of Summer Picnic quotes to view full size.